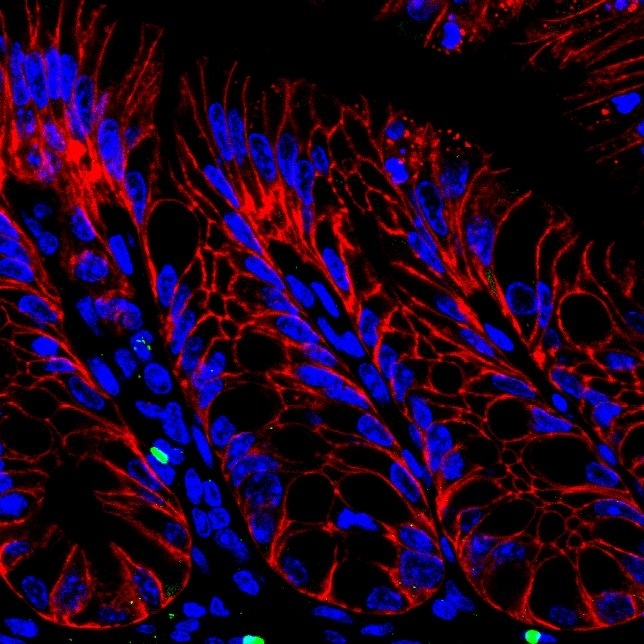 Study identifies immune cells critical for the development of fibrosis in Crohn’s disease. It is known that patients with Crohn’s disease have uncontrolled inflammation in their gut, which can lead to intestinal fibrosis and narrowing that can slow or block the movement of food. When fibrosis occurs, surgical intervention is required to restore proper digestion; repeated surgeries are not uncommon in Crohn’s patients. Now, a study from researchers at the University of British Columbia identifies a mutation that prevents mice from developing fibrosis after they were infected with a type of salmonella that mimics the symptoms of Crohn’s. The team state that their findings show the mutation had switched off a hormone receptor responsible for stimulating part of the body’s immune response. Previous studies show that fibrosis is the result of dysregulated tissue regeneration and is characterized by excessive accumulation of matrix proteins that become detrimental to tissue function. In Crohn’s disease, this manifests itself as recurrent gastrointestinal strictures for which there is no effective therapy beyond surgical intervention. The current study shows that group 3 innate lymphoid cells (ILC3) are critical for the development of gut fibrosis and may serve as a target for treating fibrotic complications of Crohn’s disease. The current study utilises a model of infection-induced chronic gut inflammation to show that Rora (retinoic acid receptor–related orphan receptor α) -deficient mice are protected from fibrosis. Results show that infected intestinal tissues display diminished pathology, attenuated collagen deposition, and reduced fibroblast accumulation. Data findings show that RORα and ILC3 contribute to the development of fibrosis in the mouse model of Crohn’s disease. The lab explain that their findings suggest they have identified the inflammatory cells that drive fibrosis. They go on to add that the defective gene in those cells is a hormone receptor, and there are drugs available that may be able to block this hormone receptor in normal cells and prevent fibrotic disease; they are hopeful their discovery could be applied to other types of tissue that experience fibrosis. The team surmise that their results show RORα–dependent ILC3 functions are pivotal in mediating gut fibrosis, and they offer an avenue for therapeutic intervention in Crohn’s-like diseases. For the future, the researchers state that the next step will be to test drugs to find out whether they can stop or reverse fibrosis in mice. A histologic section of intestinal tissue isolated from healthy Rag1-deficient mice was stained to visualize innate lymphoid cells (RORgt-eGFP, green), intestinal epithelial cells (EpCAM, red) and nuclei (DAPI, blue). Credit: Lance Peterson, Matthew Hepworth, David Artis and Gregory Sonnenberg; Perelman School of Medicine, University of Pennsylvania.